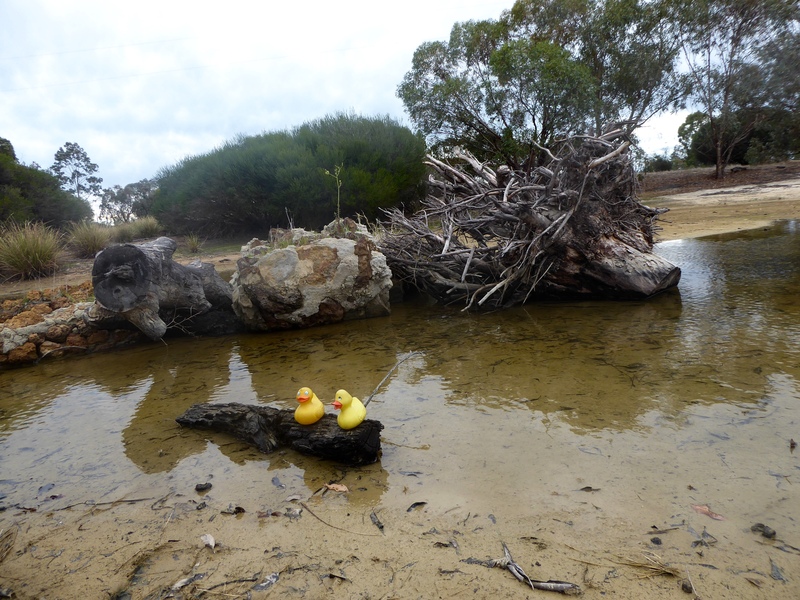 Zeb, Eider and the humans rented a car and we are driving north from Perth in Western Australia. 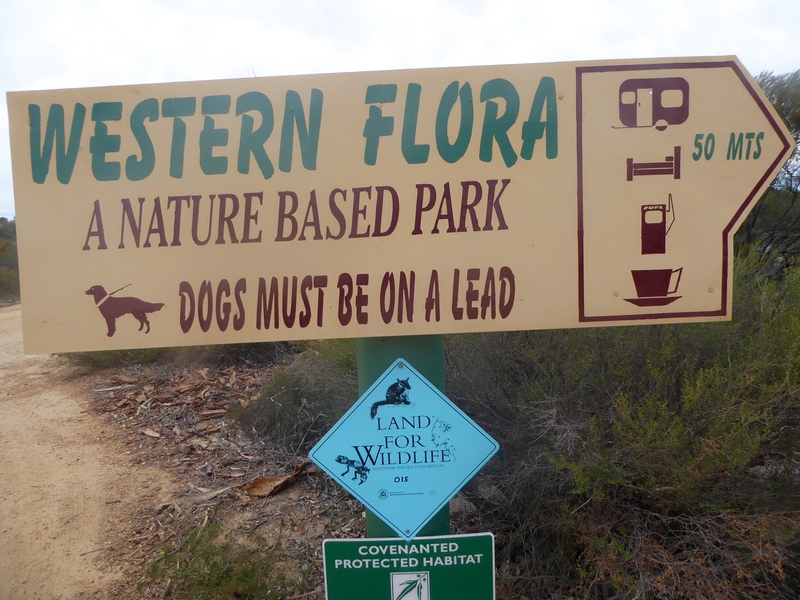 We stayed a night at Western Flora Caravan and Tourist Park. 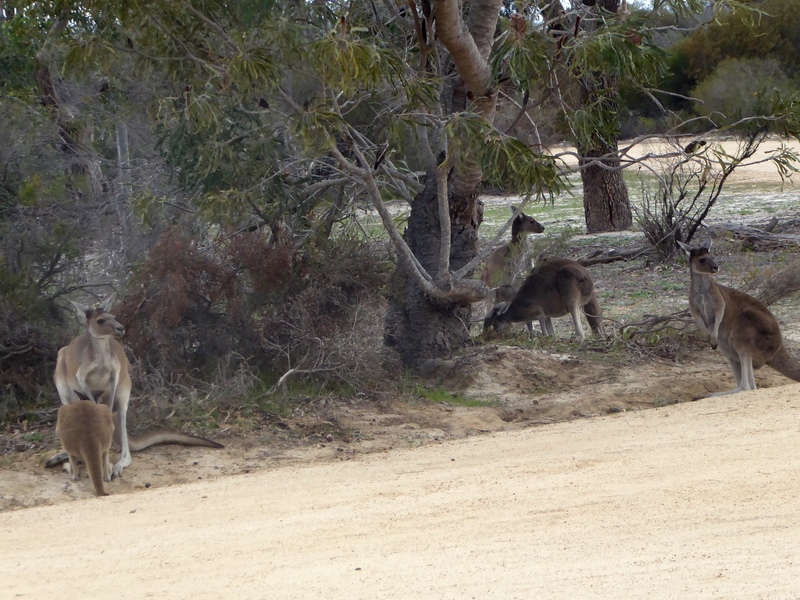 A caravan park is for campers, but they had cabins, or chalets for us. 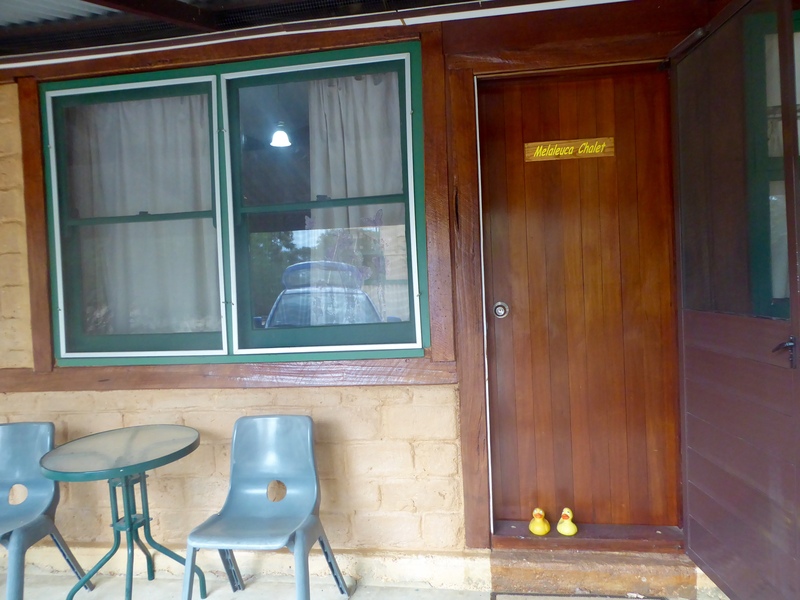 We stayed in Melaleuca Chalet. 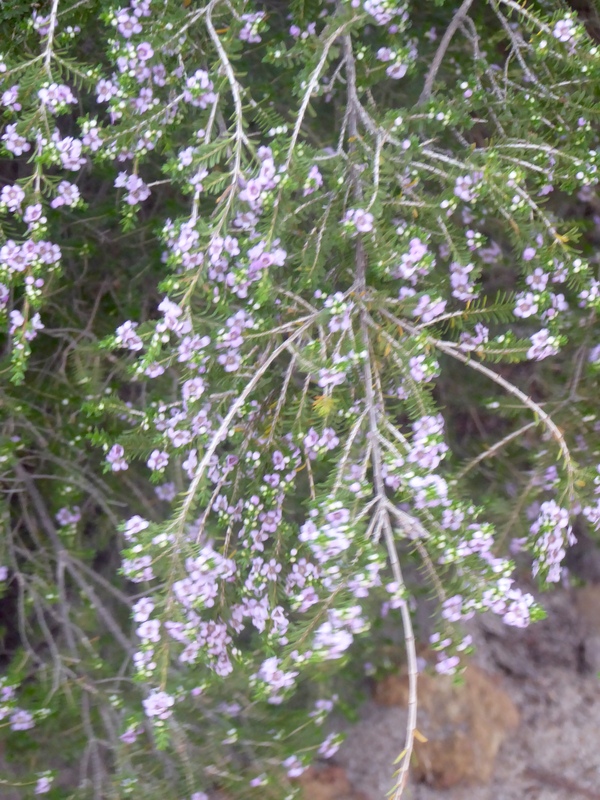 We were a little early for the wildflowers, but they were beginning to bloom. The people that own and run the park, Ron and Sandra Webb, were very friendly and very nice to us. In the morning, they brought us a continental breakfast. The walk round the lake, after breakfast, was great. 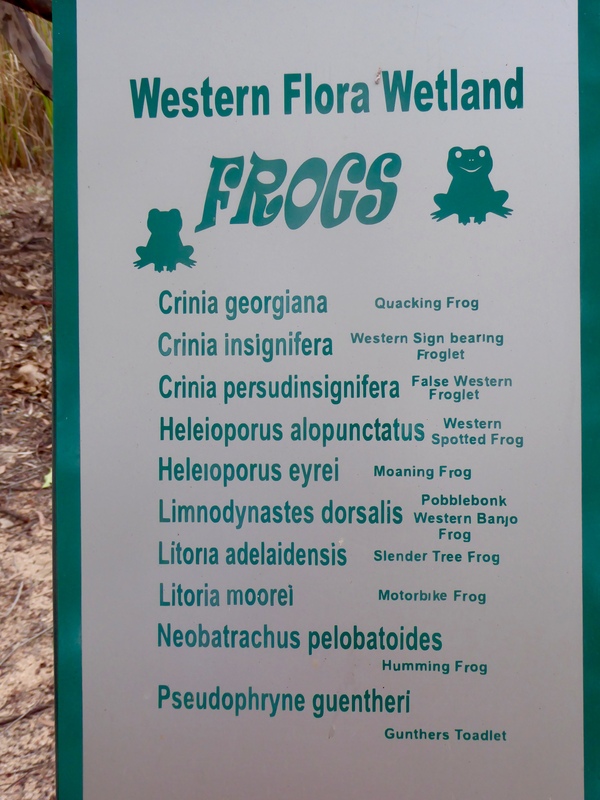 The lake has 10 different types of frogs. We saw many birds. 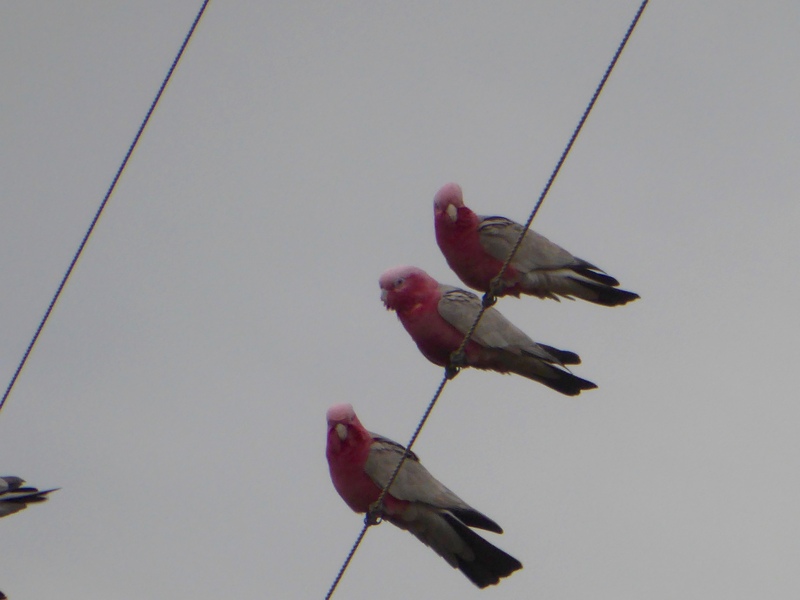 These pink and gray galah are one of mom’s favorite wild birds. 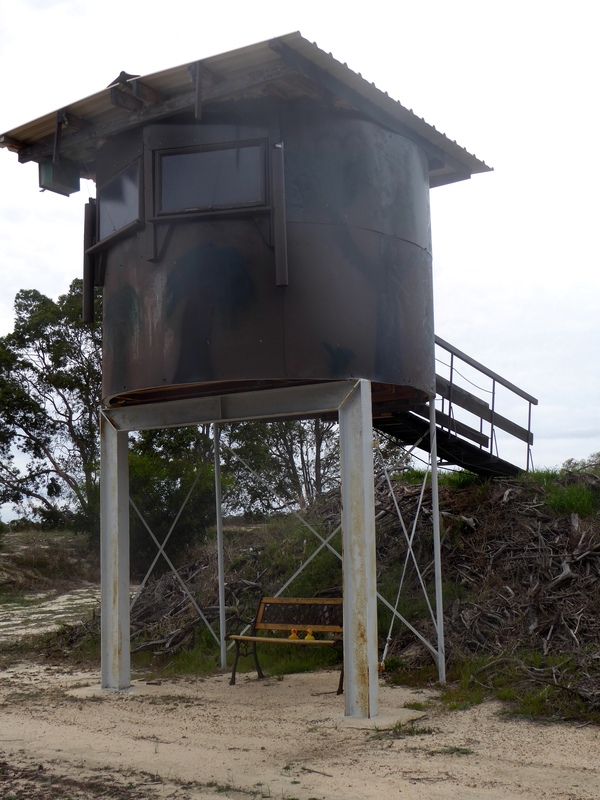 but Ron and Sandra Webb even have an observation place for humans to sit and watch for kangaroos and other wildlife. 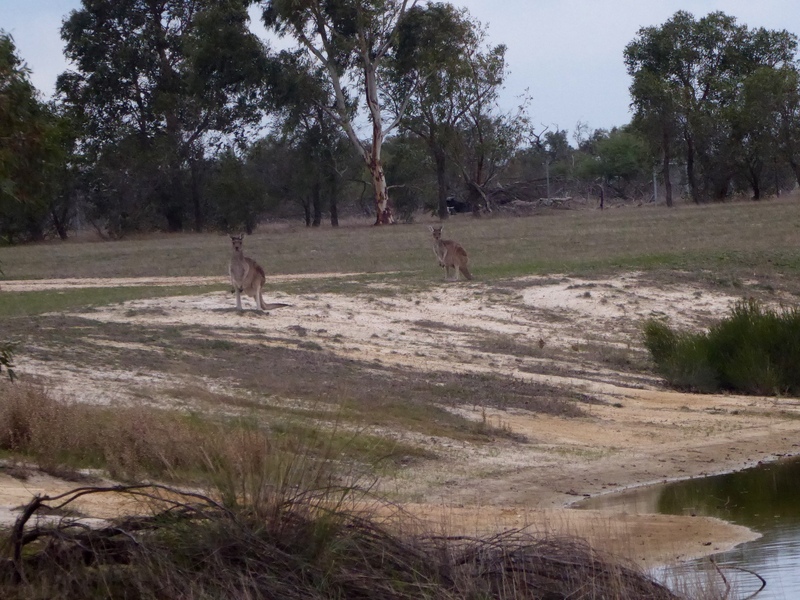 There are no fences here, so all the wildlife is wild and can leave whenever they want. 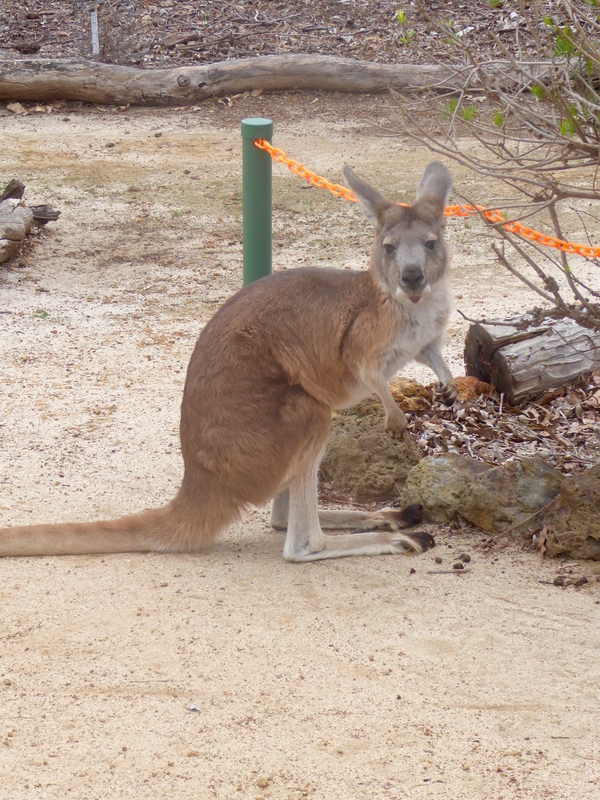 However, several kangaroo stay around the park most of theme. Isn’t this great? There two are either playing or fighting. Meet our new friend, Honey. She is about 22 years old. Her mother was hit by a car and brought here. Honey was born here. 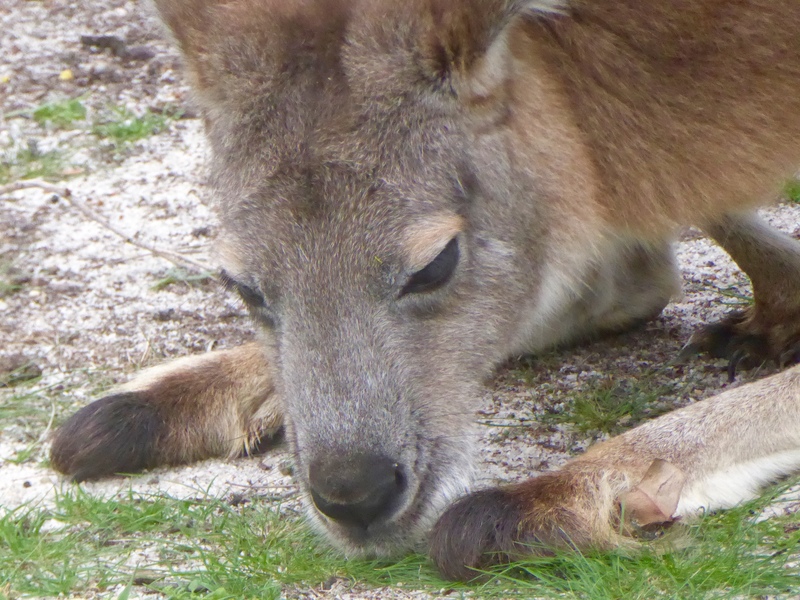 She used to leave more often and come back with a new baby, or a joey. Ron and Sandra Webb said she doesn’t leave much now, but she can if she wants to. 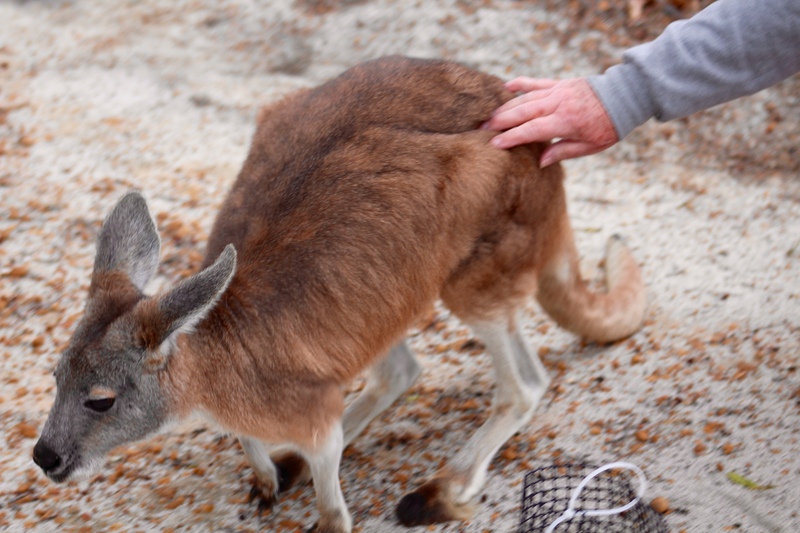 Honey is very friendly. She likes us,too. We think Honey is beautiful! 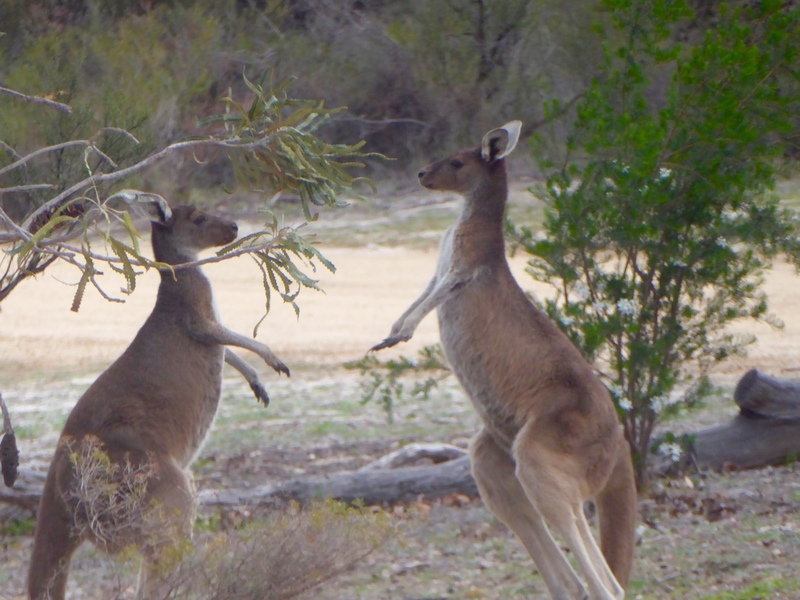 If you are near Eneabba, Western Australia, stop at Western Flora Caravan and Tourist Park. 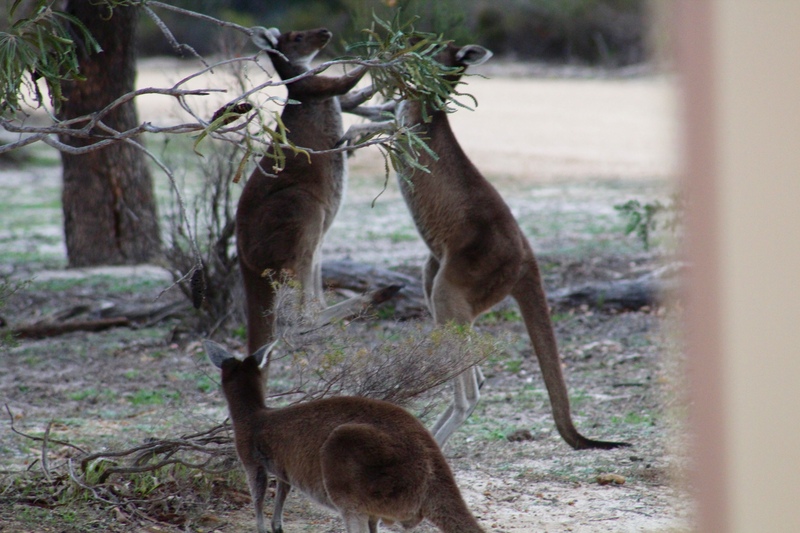 You will really like Ron and Sandra Webb and you will enjoy your stay at Western Flora Caravan and Tourist Park. We sure did! 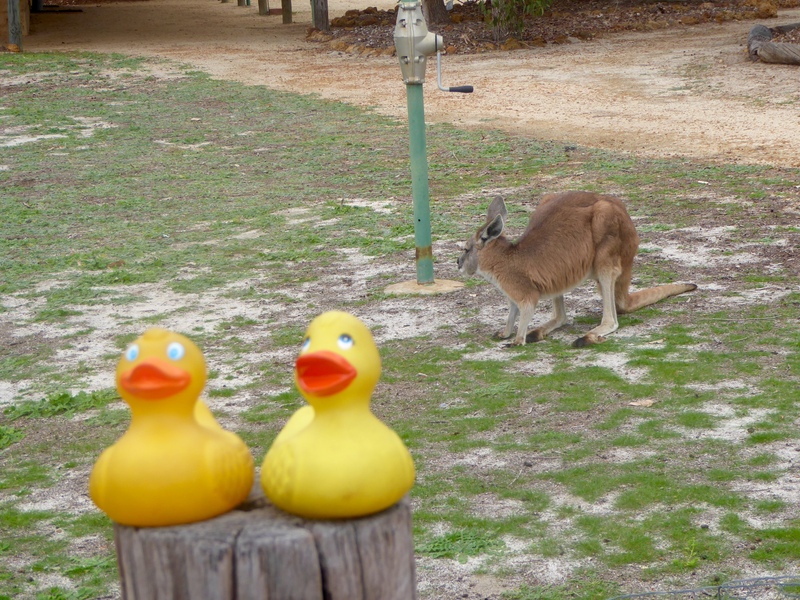 This entry was posted in Australia, Uncategorized, Western Australia and tagged Australia, Colorado Traveling Ducks, Eneabba, kangaroos, Ron and Sandra Webb, Western Australia, Western Flora Caravan and Tourist Park. Bookmark the permalink.